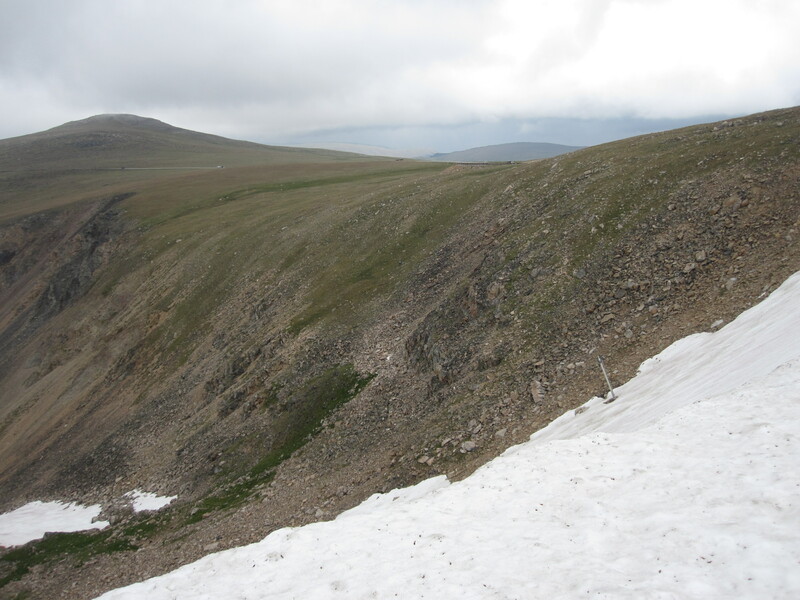 This photo contains a young male bipedal primate who separated from the rest of his group hiking the Beartooth Plateau along the Montana/Wyoming border. Can you spot him? As a field trip leader, would you like to be responsible for his health and well-being? Answer at noon Chicago time. Click photo (twice) to enlarge it, and good luck. This entry was written by whyevolutionistrue and posted on November 1, 2018 at 7:30 am and filed under spot the nightjar (and other beasts), spot the ________. Bookmark the permalink. Follow any comments here with the RSS feed for this post. Both comments and trackbacks are currently closed. Hmm, blue jacket? These “young male bipedal primates” haven’t got the hang of camouflage, have they? Blue jacket. Also, one of his shoe laces is untied. He should be careful. Besides the guy with the blue jacket, I’d bet there are primates camouflaged in some of these 4 or 5 cars. Got it. Must have seen an interesting plant or insect and fell behind. One can relate. Not as easy as you’d think, though. Were it not for the incongruous color this would be tough; and,I suspect, horrifying for the little ape’s parents!